Cool Tools for Today’s Realtor! Okay, so I am a gadget junkie and an intervention is certainly in my near future, but there are certain tools that help me through my day as a busy and successful Realtor in Katy, TX – a sprawling suburb located about 20 miles west of Houston and near the center of the Energy Corridor. My list has nothing to do with being able to perform the business of real estate but has “everything” to do with my being able to perform it well. 1. 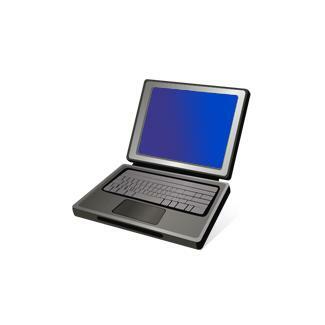 Tablet PC – I love being able to run my business as paperless as possible. I have an HP Tablet Elite that allows me to take notes, bring up all manner of paperwork, fill in the contracts and have clients sign on site. This is a powerful machine and impresses clients that I have the equipment of a professional. 2. Real Estate Dashboard software by www.Gopaperless.com. I use this software to keep my documents organized on my computer and it has an e-sign feature that compares to Docusign as well as an upload feature similar to Dropbox. (I use Dropbox for my iPad, too). 3. Docusign – Even though I have a redundant system on my computer, with so many other Realtors using Docusign, I am an avid subscriber as well. It is easy to use and clients LOVE it. No more driving across town to secure signatures. Experienced relocation clients, especially those out-of-town, now expect this level of service. Check it out… your business will prosper because of it. 5. iPad – Yes, I know I have a computer but it is not always convenient to bring it along plus my iPad is so much fun! I love the instant access to all of my Social Media Sites plus my husband steals it from me to play “Words with Friends”. I know that my opponents may notice at times I am a tad brighter than usual… it is all Danny. Sorry but he loves the game and can really crush it at Scrabble. How can I deny him this one joy? 7. Laser Tape measure – How can any Realtor live without this device? In fact, I have about three because I tend to leave them around or lose them. They are fantastic and sellers are very impressed when you whip them out to measure their home. 8. Digital SLR Camera with a tripod – While I usually hire a professional photographer for my main photos, I tend to supplement with area community shots and they have to be great. I have several point and shoot cameras (the Kodak Video camera has a built-in 5 MP) but nothing really takes the place of a good SLR camera. There is no comparison between the two and having a great range of lenses (wide-angle for indoor shots and long-range for outdoors) helps me truly present the best features a property has to offer. I am a Nikon gal but any of the big guys will do. Shooting with a tripod completely eliminates any motion or shake allowing you to take the clearest of photos. Try a tripod, you will never go back to handheld photography again. 9. Laminating machine – I know this is a weird tool but many times I need to present a great copy of a survey, pool rendering, bullet list of features, newsletter, community update, etc. and a laminated copy always takes my marketing up a notch. The fact that it came from Sam’s and cost $ 99 is beside the point. No one else is using one and my listings stand out because of it. 10. Showing Beacon – This is a terrific box that connects to the phone of the seller and lets them know when a showing is complete by the simple touch of a button. The agent showing the home signals the seller to return home upon leaving the property and the beacon actually calls the seller’s cell phone with the message. Pretty cool, huh? My sellers love it because they are not left waiting hours for an agent that arrives late or does not show at all. Now that I have gotten started, I could probably list at least 10 more. What tools would you add to this list and how do you use them? Top #10 Steps to Sell Your Home! Would you like a little sage advice that could save you time, money, anguish and probably a bit of all three? 1. Understand your real estate market – The old adage “Location, Location, Location” not only applies to your home but to your market as well. What you hear on the national news may not have any bearing on your individual area so learning local conditions is a must to determine the best strategy to find a ready, willing and able buyer. You can learn a lot by following updates from the local association of Realtors in your area as well as contacting active Realtors who make it their business to understand and decipher the current market conditions. 2. Hire a Terrific Realtor – Okay, I had to say it. If you plan to try to sell yourself, then certainly skip to the next step. However, I am a proud Texas Realtor and always think that we are your best shot at getting sold. That said, all Realtors are not the same so making sure you hire the best is crucial. Ask your friends, do research online, and pay attention to see who seems to list and more importantly “sell” homes in your community. (Just because an agent lists a lot of homes does not mean they actually sell them.) The Houston Association of Realtors, HAR, has a fabulous rating system online for those agents who participate. This is a great indicator of performance and appears to be helpful to the consumer. For an example, you can see my ratings here. I know Zillow is attempting this as are other sites so you may have access to agent ratings or rankings in your area, too. 3. Check your calendar – Time of year is very important when determining how to position your property in the market place. Seasonal markets will ebb and flow like the seas and your Realtor will be able to help you determine the best time to list. Homes sell throughout the year but there are times when demand will be at its peak and therefore, sales prices will be highest. If possible, take advantage of these peak selling periods. If not, adjust your price and days on market expectations accordingly. 4. Hire a Stager – Staging has become a huge business and has been proven to assist sellers in presenting their homes in the best light possible to potential buyers. This equates to more money in your pocket when the home is sold. Some of us have taken staging courses and either handle it ourselves or hire independent stagers to work with our clients. If you are in the Houston Area, I love and recommend Linda Burnett with Envisions Designs. Regardless of who is doing the work, take the time and effort to follow the instructions of a good stager and it will pay off in the end. 5. Do what the Stager tells you to do – This is the part where some folks get hung up. The stager is a professional who looks at your home dispassionately and is really working for you to try to help you sell your home. The more you can complete of the stager’s honey-do list, the better. I realize there may be unexpected expense here but if it is major, then trust me… it may very well cost you more in the end to ignore rather than fix. Flooring, paint, landscaping… these are all items that can be a major turn-off to buyers if not in great shape. 6. Advertise, Advertise, Advertise – Make sure you have as much exposure as possible. Today’s buyer is really beginning online for their home search so you need to be there, too. No if’s, and’s or but’s about it. A little sign in the yard without an online presence will only net you the few people who happen to drive by. 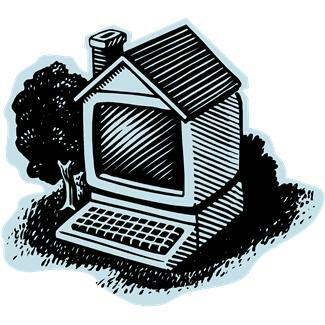 It is a brave new world out there and your home listing needs to be in it. Another must is you need multiple high quality photos and a virtual tour, if possible, to accompany your online advertising, as well as a good description of your home. 7. Offer a Buyer Agent Commission – If you are listing with a Realtor who will place you on the MLS, then there will be a published offer of compensation. However, if you try to go it alone, you really need to consider offering to pay an agent that might bring your buyer. Trust me, agents know more potential buyers than all your friends, co-workers, neighbors combined so it is important to utilize this great resource. In the US, usually the buyer’s representative is compensated out of the listing agent’s commission. But if not, please be mindful that there are wonderful Realtors out there who may have a client that would be perfect for your home but they need to be paid. If compensation is not offered by the seller, then the buyer would have to pay it and they will simply take it off the offer price. This may also cause a bit of confusion for the buyer who does not understand why their agent is not getting paid by the seller. 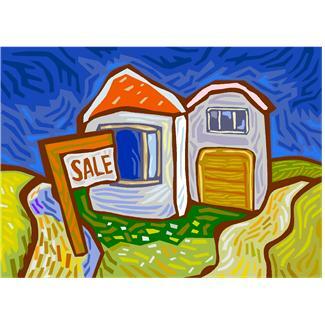 Ask several Realtors in your area what would be a fair amount and then advertise it on your sign saying,” Realtors Welcome”. Besides, you do not work for free, why should they? 8. 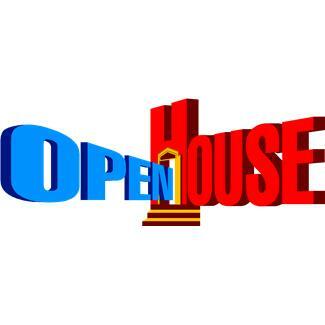 Consider Public and Agent-Only Open Houses – Public Open Houses are a good way for the public to view your home. Of course, attendance can be affected by time, date, weather, location, accessibility, signage, etc. If you see several Realtors holding open houses in your area, call them and ask if you could hold yours open at the same time. This brings in more traffic and a home that does not work for one buyer may work for another. Also, high attendance elevates buyer excitement. 9. Open Title – Whether your state requires you use attorneys or title companies, it is always best to make sure you have a good, clean title to be able to close. So many issues can run interference with a smooth transaction: probate issues, divorce, tax liens. It is best to get a clean bill of health with regard to your title up front so you are not stalled at the closing table. Another thing to do is find out your payoff amount on your mortgage, if any, to make sure you do not have to bring money to the table to close. If you discover you have to sell but do not have the funds necessary to close, in other words, you are “upside down” , you may want to contact an agent who specializes in what is known as a short sale. 10. Know Rules on Pre-Inspection and Disclosure Requirements – In some cases, it is a good idea or is even required to get your home inspected prior to going on the market. This will help you discover issues that may require repair as well as help narrow down the repair list for the future buyer. More real estate transactions fall apart due to failure to properly disclose items or fear of items that show up on inspection reports. Nip them in the bud and you will have a happier buyer and better transaction. And if you remember nothing from this post, always Disclose, Disclose, Disclose. 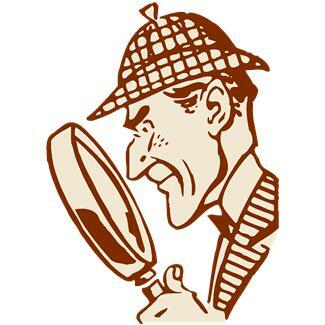 If it is something that you as a buyer would want to know about a property, then you must disclose it. As an experienced Realtor with Prudential Gary Greene, Realtors, a top listing firm in the great City of Houston, we do know a thing or two about the marketing of residential real estate. In fact, we have been honored twice now by J. D. Powers and Associates for “Highest Seller Satisfaction”. I welcome your comments or additions to this list. If you would like a market analysis for your Houston Area Home (and absolutely no pressure to list), just let me know. I am happy to help and only hope you will consider me should you decide you wish to hire a Realtor. I can be reached at www.christiborden.com or via cell 832-372-7478. Happy Selling and Good Luck!